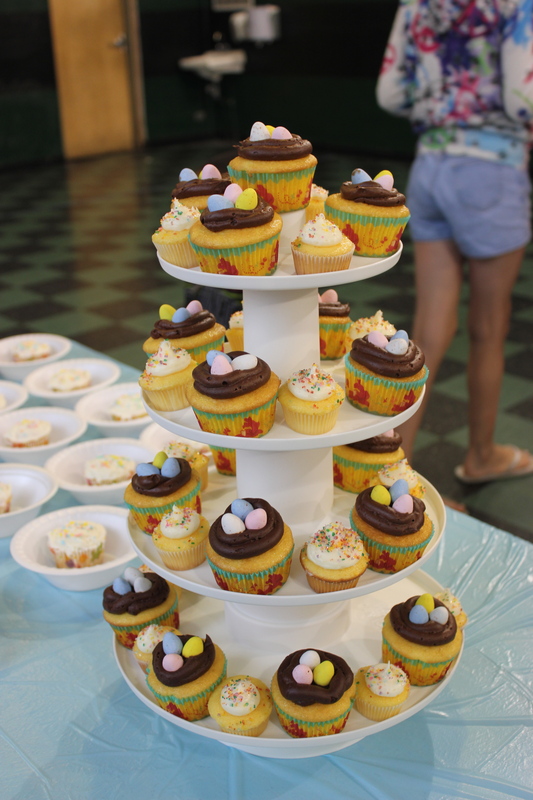 Long overdue, here is a picture of my Easter egg cupcakes that I displayed at this year’s Easter Egg Hunt at church. They were a total success. They all got eaten, and I got a lot of compliments. I enjoyed watching people enjoy my cupcakes so much! 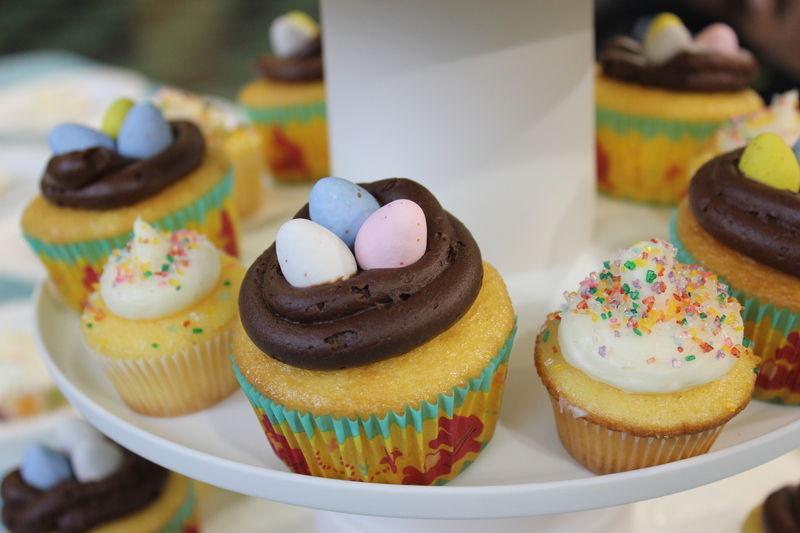 I made a basic butter-based cupcake with cream chocolate icing, and used Cadburry eggs as little decorations. The minis were also your generic butter-based cupcakes, with vanilla buttercream, and sugar sprinkles for a little glitter. I’m no pro, and I’m working extra hard on my icing, not as fluffy as I’d like it to be. It’s all about learning and experimenting when it comes to baking. My upcoming project is cupcakes for this year’s Mother and Daughter Brunch this weekend. Wish me luck!